Marie M. Herron was born on April 23, 1926 in Victor, Montana to Silas and Grace Martin and was a 3rd generation Bitterrooter. Marie and Glenn Copeland were married during WWII and over the years had 5 children; Garry Copeland, Nicki Lindquist, Daniel Copeland, Kimm Copeland and Rebecca Lord. She loved her children and her Daughter-in-law, Diane Copeland and Sons-in-law, Jody Lindquist and Brian Lord. 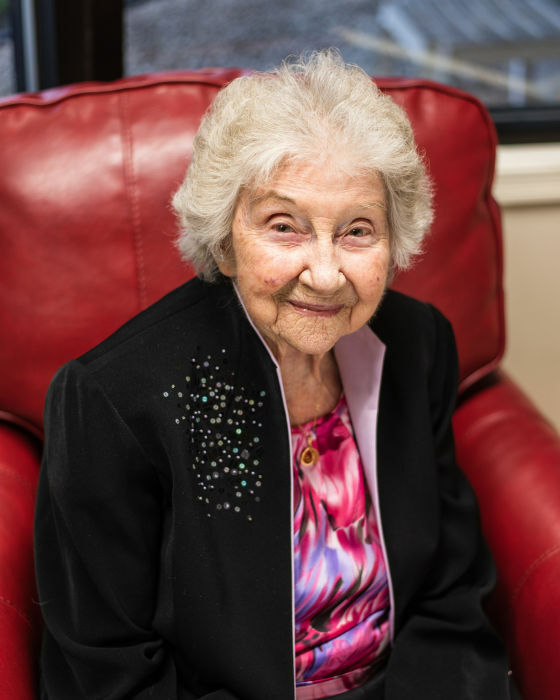 She was a driving force, mentor and planner with her many grandchildren, great grandchildren, great great granddaughters, friends, nieces, nephews and anyone she might meet in the grocery store line. Marie was a published author, counselor, avid reader and political activist, but most importantly, she was a beloved matriarch. Her life was dedicated to family and friends. If you needed honest advise, you went to Mom, and then she would help you “make a plan” to achieve that goal. In 1965, Mom married the love of her life, James Morton, and lived in Libby for several years until Jim’s death. They owned the Pay n Pak Store. After Libby, as an alcoholism counselor in Great Falls and Missoula, Mom counseled may people to sobriety working with her great friend and husband, Harold Schutt. They later divorced but remain wonderful friends. In following years, Mom lost her 2 sons, Garry and Kimm and her wonderful husband, Alex Herron. We all believe she is enjoying a good cup of coffee and talking politics and the latest good book with all those who have gone before her. A memorial service is scheduled to take place this summer when the weather is warmer. It is set to take place on Saturday August 17th at the Victor Community Church at 2:00 P.M. Daly-Leach Chapel is helping the family with the details. There's still time to send flowers to the Memorial Service at the Victor Community Church at 2:00 PM on August 18, 2019.